The Spark is currently based at the library with our Imaginative Neighbourhoods project, and with artists in residence Owen Craven-Griffiths and Dave "Stickman" Higgins. 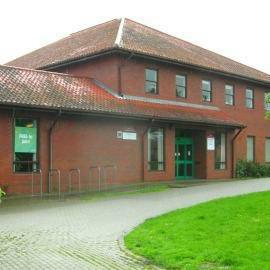 Library is located just over the bridge from Tesco, before the Leisure Centre. The library is all on one level and has a wide entrance, an induction loop and an accessible toilet.